- ITALIE : Verona - A mysterious blue sheen that is creeping over precious archaeological artefacts has sparked a political firestorm in Italy.The prehistoric treasures — including human bones and stone tools — come from sites near Verona, which were inhabited by some of Europe's last known Neanderthals when anatomically modern humans were beginning to dominate the region. Scientists say that comparing DNA from the remains with DNA from Neanderthal bones found elsewhere may show how the last Neanderthals moved across the continent seeking refuge, for example. - ROYAUME-UNI : Aberdeen - Tullos Hill has long been known as an important archaeological site because four Bronze Age burial cairns are located there. - ROYAUME-UNI : Tintagel - New discoveries have raised again the possibility of a real King Arthur. 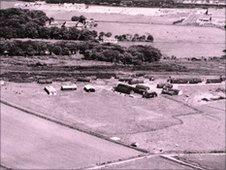 He recalls ten sites that suggest Arthur was much more than an old wives' tale. The legendary site of King Arthur’s conception is Tintagel Castle. Excavations demonstrated that, as the legends said, this was a fortified home of the ruler of Cornwall in about 500AD. The largest fortified site of the ‘Arthurian’ period, it contained unprecedented remains of luxury goods from the Eastern Roman Empire. In 1998, a slate engraved with the name ‘Artognou’ and other names from the legends was discovered there. 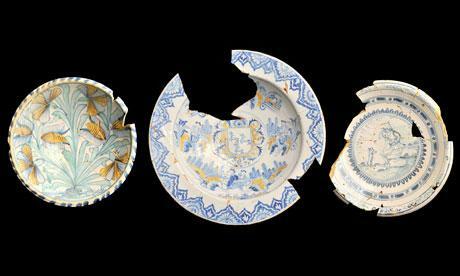 - ROYAUME-UNI : London - Archaeologists are puzzling over why three handsome 17th-century bowls, one celebrating the marriage in 1674 of the original owner, ended up dumped in a rubbish pit in a Southwark back garden. Each is a unique piece, demonstrating the varying ambitions and skills of the pottery painters of the day. One is an Islamic-inspired tulip design; another, marking the marriage of NT to ET in 1674, imitates Chinese porcelain; and the last so ineptly attempts a blue and white Dutch painting that museum staff have named it "boy with colander on head tormenting meerkat with stick". - ROYAUME-UNI : Stafford - A University of Leicester archaeologist has discovered a bone belonging to a late19th-century tortoise from Stafford Castle, Staffordshire - believed to be the earliest archaeological evidence of a tortoise kept as a family pet. The significance of the find is in the insights it gives on the early importation of tortoises and the changing attitude of British society towards family pets. - U.S.A. : Key Largo - Buried in the thickets of turtle grass and staghorn and elkhorn coral on the Carysfort Reef is what a group of underwater archaeologists suspect is an African cemetery. Countless people unknowingly have boated over what is believed to be the Guerrero and the watery grave of 41 slaves who were chained in her hold when she went down. Diving the area with an untrained eye still reveals very little of the relic. The Spanish piratical slave ship wrecked on the reef off north Key Largo on Dec. 19, 1827. The British schooner Nimble was chasing the Guerrero, which was carrying its human cargo to Cuba. A gun battle ensued, with dire consequences for the slaves. They either drowned or were crushed by the mast that broke off in the grounding. The Nimble followed the Guerrero onto the reef, and could only watch as Good Samaritans rescued many of the pirates -- and nearly 400 of the Africans. Faring better than the Guerrero, the Nimble was towed to Key West for repairs, with 121 of the rescued slaves aboard. - U.S.A. : Mystic - A project to map the battlefields of the Pequot War is bringing those musket balls, gunflints and arrowheads into the sunlight for the first time in centuries. It's also giving researchers insight into the combatants and the land on which they fought, particularly the Mystic hilltop where at least 400 Pequot Indians died in a 1637 massacre by English settlers. 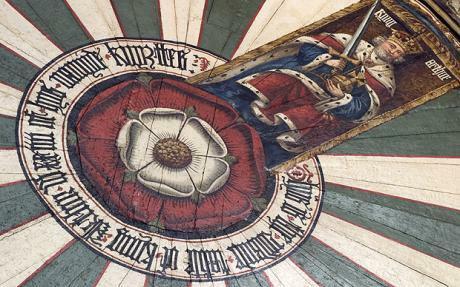 - ROYAUME-UNI : Chester - Historians claim to have finally located the site of King Arthur's Round Table. Researchers exploring the legend of Britain’s most famous Knight believe his stronghold of Camelot was built on the site of a recently discovered Roman amphitheatre in Chester. Legend has it that his Knights would gather before battle at a round table where they would receive instructions from their King. But rather than it being a piece of furniture, historians believe it would have been a vast wood and stone structure which would have allowed more than 1,000 of his followers to gather. 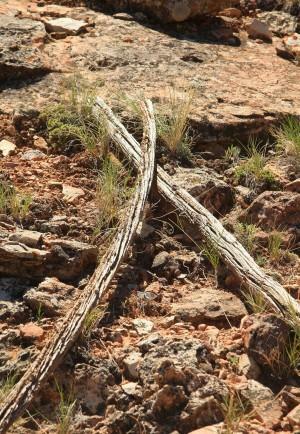 - U.S.A. : Bighorn Canyon - Archaeologist stumbles upon ancient tepe poles; 22 pole fragments, most of them 4 to 6 feet long. One measured 12 feet. 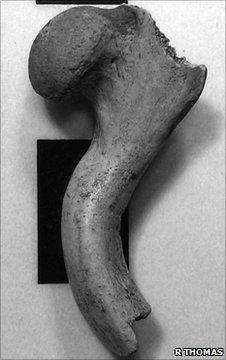 The poles were found in association with the Bad Pass Trail, which native peoples used for at least 10,000 years. It leads from the Wyoming plains to the buffalo country in Montana. 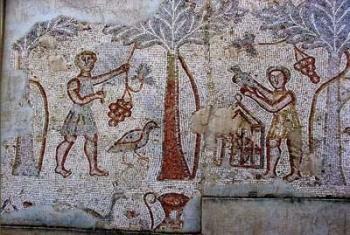 - SYRIE : Daraa - Daraa Province is a cradle of the most beautiful Mosaic paintings in Syria. Shedding light on the intellectual, economic, social and cultural development in the region, the number of mosaic paintings unearthed in Daraa Province reaches 25.Most of them are bath floors or murals in churches and royal palaces from Byzantine era. the paintings reflect the aesthetic taste of its makers and give a hint about the various aspects of life in the 5th and 6th centuries. Grapes, laurel and roses plants were the most depicted images while the animals included wolves, dears, horses, ducks and roosters. 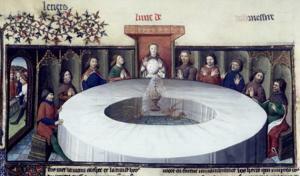 Other paintings portrayed aspects of traditional art and heritage particularly the straw plate. 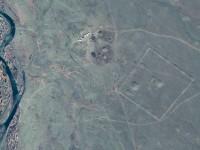 - MONGOLIE : Help find Genghis Khan's tomb. There is a project with which you can help, supported by National Geographic Digital Media. It is called “Field Expedition: Mongolia — Valley of the Khans Project.” This project is a huge archaeological survey of parts of Mongolia, looking for the tomb of Genghis Khan and other Mongolian cultural heritage sites. To join in on this adventure-from-home, visit the website for Field Expedition: Mongolia — Valley of the Khans Project. - INDE : Kurukshetra - Floods in Haryana may have consumed a piece of ancient Indian history. The archaeological site of Jognakhera, from where copper smelting furnaces along with copper slag dating back nearly 5,000 years to the Indus Valley Civilization were unearthed, was ravaged and submerged under nearly 10 feet of water from Sutlej-Yamuna Link Canal breach. The excavated site has been badly mauled by the floods and the ancient furnaces have also been damaged severely. However, the antiquities unearthed from the excavation have been recovered by excavators. The furnaces look like huge saucers bearing copper slag. A huge number of Harappan pot shreds were also been unearthed from the site, dating the furnaces. - U.S.A. : Montpelier - At James Madison’s house, Montpelier, archaeologists are unearthing the undisturbed remains of slave dwellings. The actual dwellings of house, stable, garden and field slaves were abandoned abruptly in about 1840. The digging has begun with stable and garden slave quarters, which were closer to the main house than the quarters of field slaves, but not as close as those of house slaves.